When normal people talk about burritos, they imagine delicious Mexican wraps with an awesome hot sauce. When I talk about burritos, I mean wrapping yourself tightly in a blanket and feeling perfectly cozy and snuggly. If you also want to transform into a warm, cuddly burrito, this review is for you. 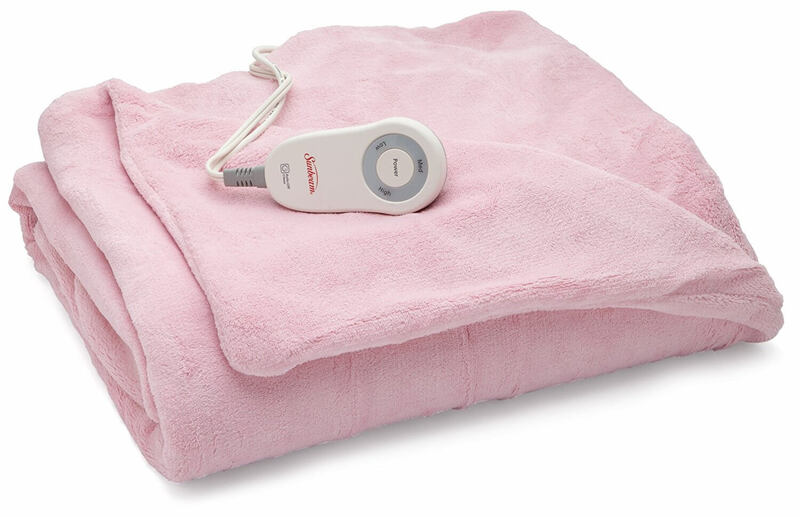 I’ve prepared 7 best electric blankets for you to wrap yourself in on a cold winter night. 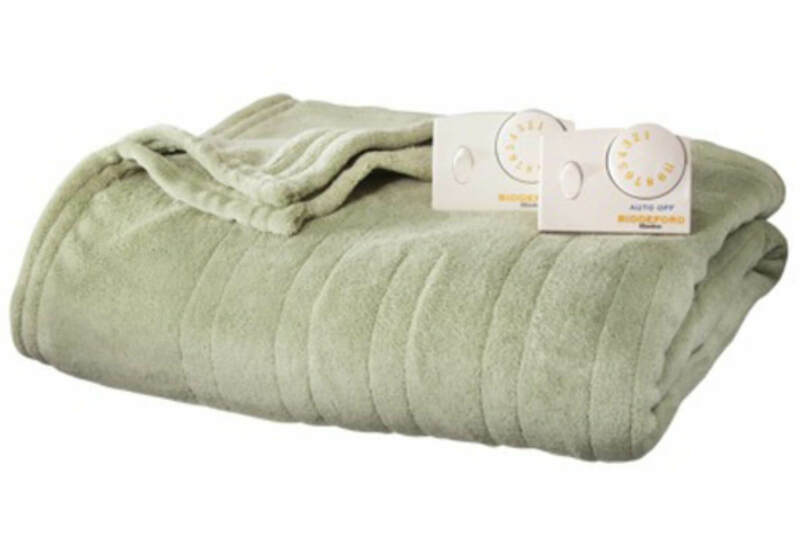 Sunbeam Microplush Heated Blanket with ComfortTech Controller 100% polyester Twin: 4.7 pounds, Full: 5 pounds, Queen: 7.8 pounds, King: 8.3 pounds 10 heat settings, a 10-hour auto-off, LED display, preheat option. 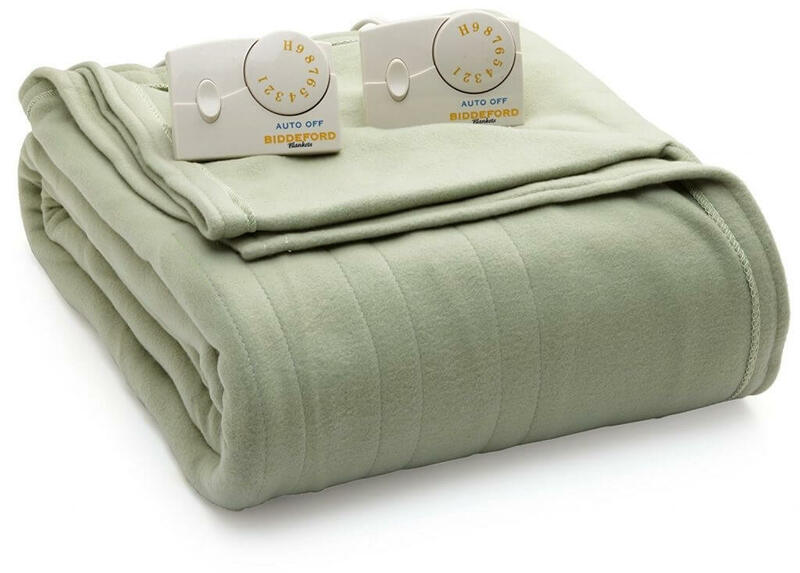 Biddeford Electric Heated Blanket 100% polyester Twin: 5.6 pounds, Full: 6.1 pounds, Queen: 8.4 pounds, King: 9.9 pounds 10 heat programs, 10-hour auto shut-off, machine washable. The first contestant for the right to be called the best electric blanket is this model by Sunbeam. 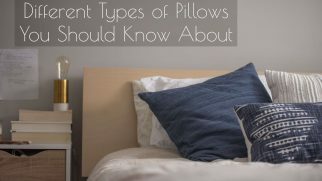 It is large, soft, warms up fast, and can certainly help you stay warm even on a very cold winter night. Its size is 50 x 60 inches, which is just enough to turn yourself into a cozy burrito. It is soft and plush to the touch. The blanket is made of 100% polyester. It comes in numerous different colors. The controller features 3 heat settings. There’s a handy 3-hour auto-off feature. The best thing about this blanket is how fast it warms up. It is a perfect product for those moments when you rush into your house freezing and can’t wait for the thermostat to start working. The blanket takes a couple of minutes to turn from a simple soft piece of fabric into a heavenly warm and cozy wrap for you. The worst thing about this model is the controller. The plastic doesn’t look very reliable, to be honest. Moreover, I’ve noticed that it becomes hot when the blanket is being used for long periods of time, which makes me wonder: for how long will the controller keep working? Overall, my experience with this product was quite satisfying. 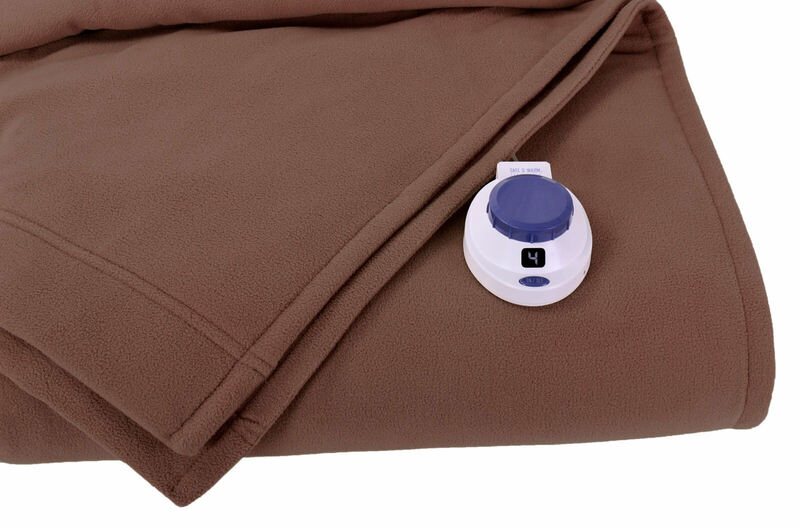 It is very cozy, warm, and deserves to be among the best rated electric blankets. This model belongs to the pricier category, but that’s not what gives it the right to be called the best electric throw blanket. What makes it awesome is how cozy and practical it is. It comes in 4 sizes: Twin, Full, Queen, and King. There are 6 different colors available. The blanket is made of polyester that feels super soft. The Queen and King models feature 2 controllers and dual heating zones. There are 10 heat settings. You can use a 10-hour auto-off option. The blanket features a handy preheat mode. The coolest thing about this blanket is its efficiency. It warms up fast with and without the preheat option. It feels warm enough even on the low or medium setting and allows the users to make temperature adjustments to their liking. It gets better: the variety of sizes allows for more comfort. The worst thing about this model is how thin it is. Don’t get me wrong: it’s still plush and warm, but it’s not as thick as it looks like on the pictures. Some users might feel disappointed because of that, so it’s just a heads-up for you. This product deserves to be called the best heated blanket. 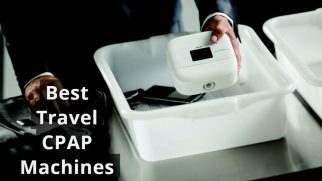 It managed to pleasantly surprise me from the first day of use and didn’t disappoint even after quite some time. Feel like this option would be great for you? Click here to order! This model has everything to be called the best electric blanket wrap. It is soft, cuddly, and easy to use. It is made of polyester and had two sides: one is smooth and the other one is plush and fluffy. The blanket comes in 4 sizes and 8 different colors. The blanket is machine washable and dryer safe. The manufacturer offers a 5-year warranty on their product. The coolest thing about this blanket is how warm it is. Even without being plugged in, the blanket feels super snuggly. And with the heat turned on, it can keep you warm even with your thermostat being turned down. The worst thing I’ve noticed about this blanket is the controllers. They get warm too, which is obviously unnecessary and even dangerous. Maybe it’s just a single case, but you should definitely keep this issue in mind. To be honest with you, even the warm controllers didn’t stop me from using this cozy, one of the best rated electric blankets. And I’m sure you are going to love it just as much. Want to see for yourself? Don’t hesitate and order here! This model oftentimes appears on top of the praising electric blanket reviews, and there’s a reason behind that. It comes in 4 different sizes and 4 colors. The best thing about this model is its efficient design. 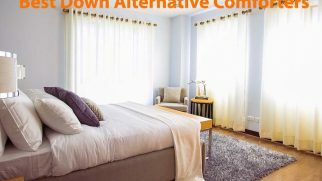 The common issue of numerous electric blankets is the bulky wires, which make you feel uncomfortable and annoyed. However, this item by SoftHeat features a new thin design. Seriously, you won’t even know those wires are there. It feels just like an ordinary blanket but gets warmer when you need it to. The worst thing about this blanket is the fact that it gets moderately warm. I mean, you don’t need your blanket to be extremely hot, but I feel like some people might find this model to be not warm enough for an extra chilly day. Overall, I enjoyed using this blanket. It is soft, thin, and warm enough to protect you from the chilly evening air. Ready to test it out? Click here to order! Another contestant for the right to be called the best electric blanket is this model by Sunbeam. It is soft, lightweight, and super cozy. The blanket is made of 100% polyester, which is soft and pleasant to the touch. There are 10 heat settings and a 10-hour auto-off feature. The blanket is machine and dryer safe. It comes in 4 sizes (Twin, Full, Queen, and King) and 8 different colors. The absolute best thing about this blanket is the combination of great value and quality. This blanket is reasonably priced (even the sizes Queen and King), but the quality is still on top. It doesn’t have all those bells and whistles, the controller is super simple, and the blanket is lightweight, but it works effectively. The worst thing I’ve noticed about this model is that the heating levels are rather moderate. They are enough for chilly days but might be insufficient for people who need something more than mild warmth. I personally found such levels of heat quite pleasant, but I realize that they might not be enough for some users. To be honest, I wasn’t expecting much from this model. However, I feel now that it can become the best heated blanket to create a warm and cozy atmosphere for my evenings. I feel like this model by SoftHeat can become the best electric blanket wrap for you and your family after the first use. It feels luxurious and works great. The blanket comes in 5 sizes (Twin, Full, Queen, King, and Throw) and 5 different colors. There are 10 heat settings, a 10-hour automatic shut-off feature, and a preheat option. It features two separate controllers and a dual heating zone system in the sizes Queen and King. The absolute best thing about this model is its design. This blanket combines thin, almost indiscernible wires and a plush, thick fabric. This combination allows you to create a cozy atmosphere without feeling annoyed by the crinkling sound of the wires or their bulkiness. The worst thing about this blanket is the fact that it belongs to the pricier category. I can’t even consider this a serious issue since the quality and the features correspond to the price. 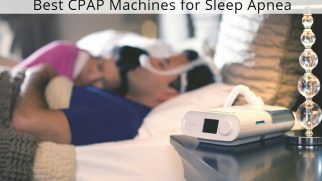 However, I realize that some people don’t want to invest in an expensive electric blanket, especially when this is their first experience with such a product. This blanket managed to make me very happy. I didn’t even turn my thermostat up and still felt cozy and warm. And I’m sure it can become your best helper during the cold winter nights too. Are you curious to try it out? Click here to order! Another contestant for the right to be called the best electric throw blanket (or a full-size one) is this model by Biddeford. It is lightweight, soft, and easy to use. There are 10 heat options. The coolest thing about this blanket is how lightweight it is. It’s a perfect option for people who don’t want to feel like their blanket is pressing down on them. This model is barely noticeable but still quite warm and very snuggly. The worst thing about this model is the combination of its price and quality. Let me explain: for this price category, this blanket’s design is rather simple. The fabric is quite thin, which, given the fact how much it costs, should’ve probably been more plush, thick, and fluffy. That’s just my personal opinion and preference, but I feel like there are many people who might agree with me on this. In general, my experience with this electric blanket was quite pleasant. I wish it was thicker and fluffier, but it still managed to keep me warm all through the night. Feel like you want to test it out? Click here to order! An electric blanket can help you save on electricity. You can use it while your thermostat is turned down and still feel warm. These blankets are super easy to adjust, which gives you numerous opportunities to create the best comfortable conditions for yourself. A heated blanket is a very efficient way to get warm fast as just one electric model can substitute a couple of ordinary ones. These blankets are perfect for people who are cold-natured and feel chilly all the time. Some heated blankets tend to warm up to uncomfortable levels and become too hot for some users. Because of the inner wires, such blankets are quite hard to clean and maintain. Some models don’t feature an auto turn-off option, which can be quite dangerous. Design and Construction. Look at the controller, the heating options, and most importantly, the quality of the wires. If any of them are showing, stay away from such a product. Price. Cheap doesn’t always mean bad, sometimes it means simple. Just like that, expensive models aren’t always the best ones. So, pay attention to the price and then consider the main features and reviews. Ease of maintenance. When the heated blanket is machine washable, the cleaning process will be much easier. Of course, the washing requirements are going to be trickier than usual, but at least you will be able to keep your blanket fresh and clean. Safety. This is the most important factor, obviously. Give your preference to the models with a sturdier construction and the automatic shut-off option. Avoid purchasing used heated blankets. Don’t use a blanket if it has exposed wires, torn seams, or scorch marks. Avid putting heavy objects on top of your blanket. Allow the blanket to cool first before folding and storing it. Replace your electric blankets every 10 years. Never use the blanket if it’s damp or if your skin is still wet after the shower. 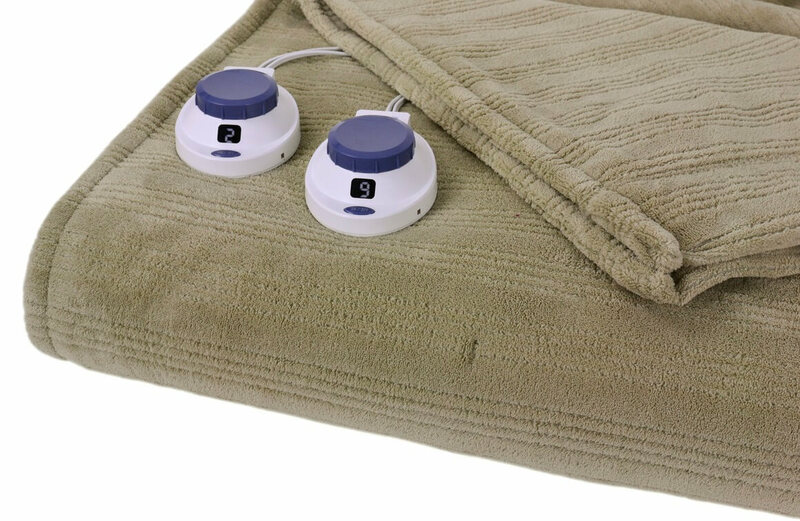 I’ll be honest: electric blankets were my favorite products to test out so far. Feeling cozy every night? Count me in! Reading a book being wrapped like a warm joyful burrito? That’s what I like! Sleeping under a warm, heavenly soft blanket when it’s freezing outside? I don’t mind at all! But among all those awesome wraps, there was one that impressed me the most. 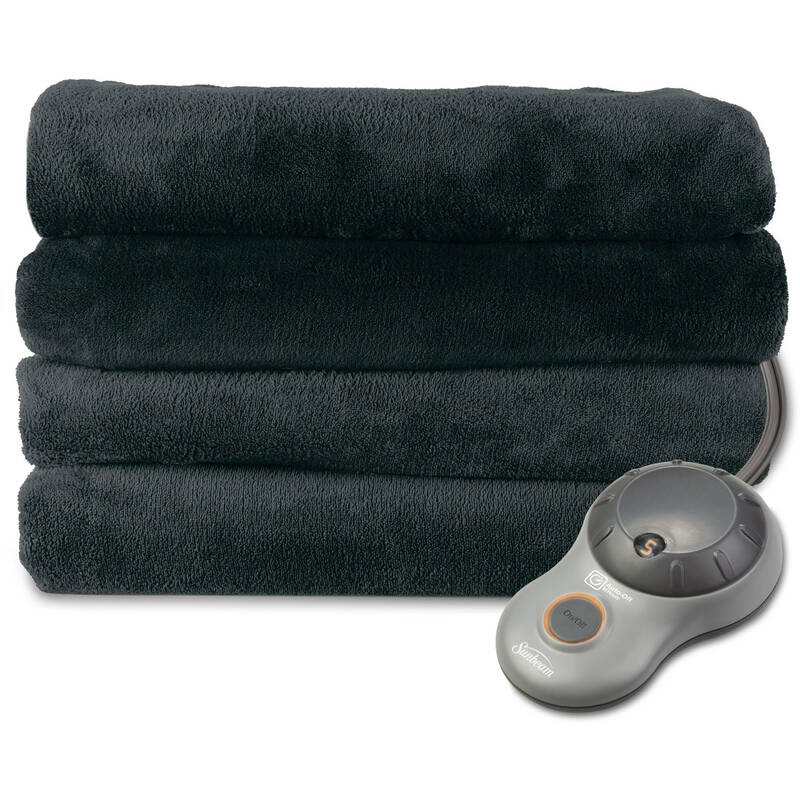 I am talking about the Sunbeam Microplush Heated Blanket with ComfortTech Controller. 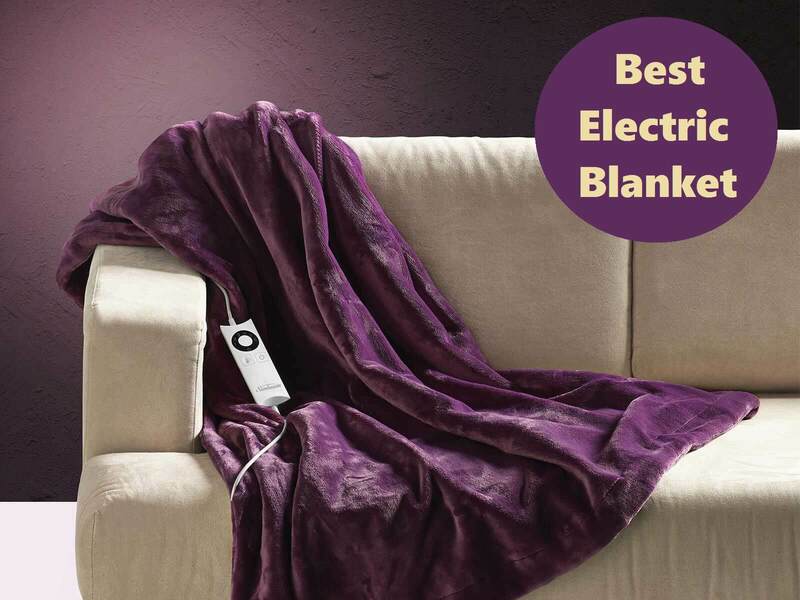 This model deserves the right to be called the best electric blanket for numerous reasons. It is lightweight and thin, but still snuggly and plushy. The controller is reliable and super easy to use. And the warmth levels are perfectly adjustable and can satisfy almost anyone. This is, in my opinion, the definition of comfort. And what is the definition of comfort for you? 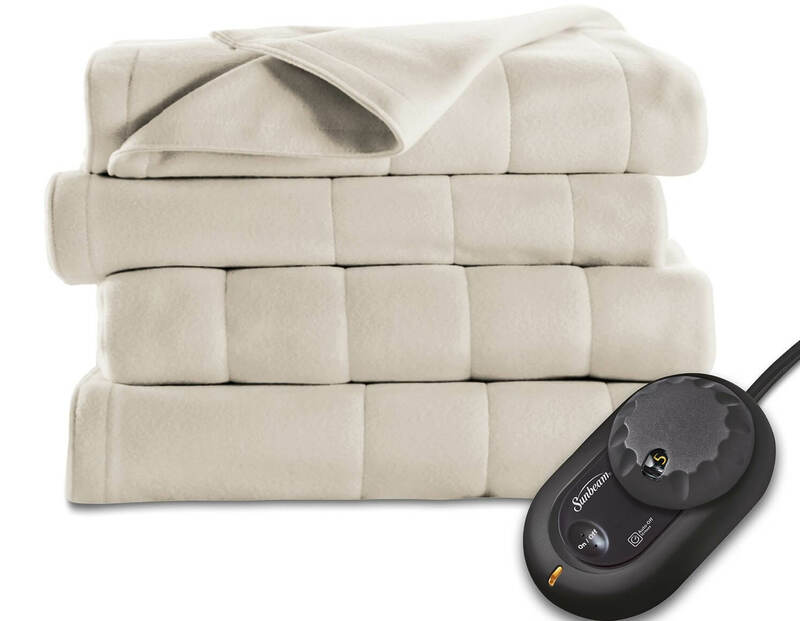 Do you use an electric blanket to make your winter nights more comfortable? Share your thoughts in the comment section. Mum gave me a suggestion to get a sunbeam microplush electric heated blanket because i was tied down with a serious flu. I bought one and it has assisted me a lot, i now feel cozier during cold weather. It seems i just gave my self extra care.